Big Vegan Market is back for 2019! With over 200 stalls of food, drinks, fashion, craft and skincare where you don't have to ask about a single ingredient, this is an event you don't want to miss! 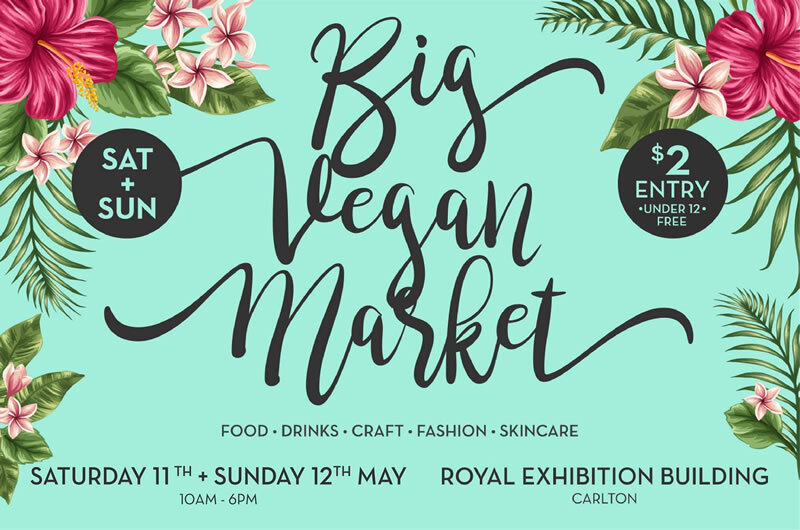 Over the Saturday and Sunday of the Mother's Day weekend shop from the huge variety of 100% vegan products at the beautiful Royal Exhibition Hall. Pick up something for your mum or even better bring your mum and discover all the great new goodies available together! $2 entry, U/12 free. See you there!